"SN A R K E N "
The new R-rule of 1919 was subject to discussions among the yachtsmen. 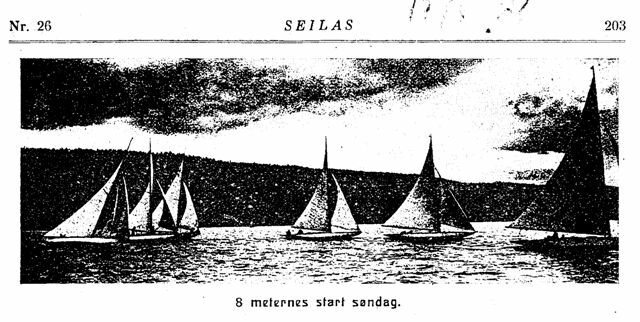 In KNS yachting magazine ”Seilas” of October 1920, Halfdan Hansen, 8mR (old) “Garraveen” expresses his view based upon the summers racing experience with 8N2 “Sildra”; The large hull is more like an old 9mR. “Sildra´s” length overall is 14,73 m, G. 4,2 m, d. 0,035 and F. 0,85. The most remarkable is, however, that “Sildra” has only 80,5 m2 sail area compared to normal (part 2 note 1) 115 m2 for an 8mR (old). Obvious she is superior to her 8m competitors in wind forces above 5m/sec, and in rougher weather the difference could be more than 10 minutes on a 20 nautical mile racing course. The remarkable is that she also performs well in light wind without being outclassed. She is easy to handle and only a crew of two men sailed her from Antwerpen to Norway after the Olympics in partly rough weather. The new R-rule has proven to stimulate the design of good cruisers as well as racers. Although there is one weakness with the rule that cabin top was made voluntary and not a permanent requirement. Halfdan Hansen himself put a cabin top on his own 8mR (old) “Garraveen” and found her lot more practical for cruising without loosing her racing edge. He also fitted out “Garraveen” with Marconi rig and Bermuda sail plan. H7 "Garraveen" became a winner in the 8mR (old) Class in the early 1920-ties and a strong competitor to 1920 Olympic winner in the 8MR (old) Class H17 “Ierne”. The most negative effect of the new rule was that construction cost escalated due to increased displacement, and less yachtsmen acquired new yachts from 8mR and upwards. This was in favour of the less costly 6mR Class, which during the 1920-ties expanded in Norway and abroad. 8m sailors with racing ambitions ordered new 6 meters to compete in, as well as newcommers to the R Class found the 6mR more affordable. Johan Anker himself was very pleased with “Sildra´s” performance. 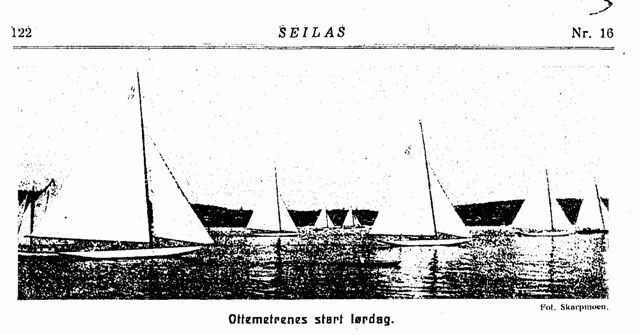 In “Seilas” of January 1921 he expresses himself stating that he could not do better this year than making a copy of 8mR “Sildra”, yacht name "Brand VI" with racing sail no 8N18. However, the 8mS owners which in 1920 had converted their yachts to the new R-rule of 1919 decided in 1921 to convert back and race in their own Class under the S-rule as in 1918 and 1919. 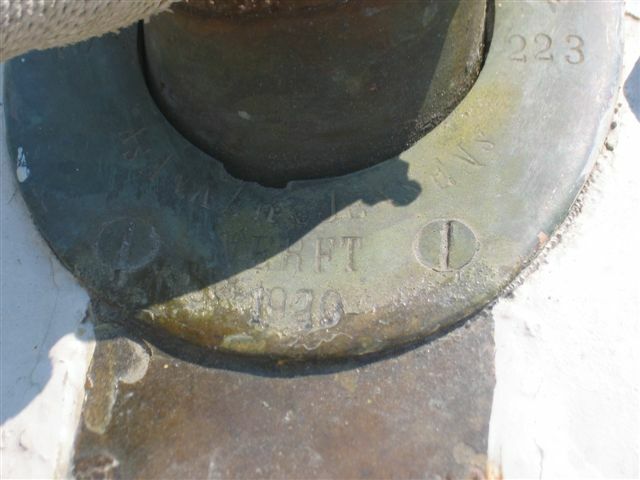 The reason was that they felt Ankers designs under the new R rule of 1919 to be utmost superior. 8N12 "Pandora" is converted back to the 9m handicap Class and 8N16 (H11) "Sans Atout" is converted back to the First Rule 8mR(old) R-1907 Class. 8N11 "Verano II" (Snarken) is in KNS register 1923-24 listed together with H11 "Sans Atout" in the First R-1907 Class - named "Fandango II" ex "Danseuse", ex "Siva", ex "Verano II", and without racing sail no. This likely due to the fact that she was laid down in spring 1919 based upon Ankers S-yacht drawing of Sept. 1918, and modified to international before launching in spring 1920, i.e international yachts laid down before Jan 1st 1920 are listed in KNS Class 3, S-yachts listed in KNS Class 2, and New R-yachts laid down after Jan 1st 1920 in KNS Class 1. Ankers new 8mR of 1921 "Brand VI" was based upon his drawing of 13-9-1920 and constructed by Anker & Jensen in spring 1921 given racing sail no. 8N18. In summer 1921 the new scantlings proposed by Lloyds were agreed upon. 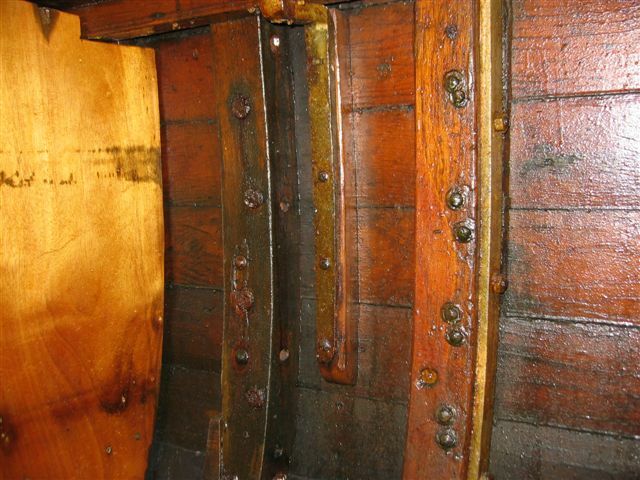 These proved not to be as expected and were revised in 1924 resulting in stronger and longer lasting yachts. 8mR "Bera" followed in 1922. She was firstly given racing sail no. 8N19, however as "Pandora" had returned to the 9m handicap Class "Bera" was given racing sail no 8N12, and 8mR "Ranja" constructed by Anker & Jensen in 1923 become racing sail no 8N19. In 1924 Anker constructed 8N 20 "Varg". In the Paris Olympics 1924 Norway won Gold in the 6mR and 8mR Classes (part 2,note 2). Bjarne Aas, Fredrikstad constructed 8N21 "Hvide" in 1925, before Anker in 1926 constructed 8N22 "Rollo". In 1927 Bjarne Aas in Fredrikstad constructed 8N23 "Irene VI" who won the Kattegatt cup for KNS in 1927 and 1928 and is said to be the most extreme 8mR designed in Norway under the R-rule of 1919. I myself acquired "Irene VI" in fall 1981 with the intention of racing her in the upcomming 8mR WC races at Hankö, Norway in 1983 (part 2 note 3). 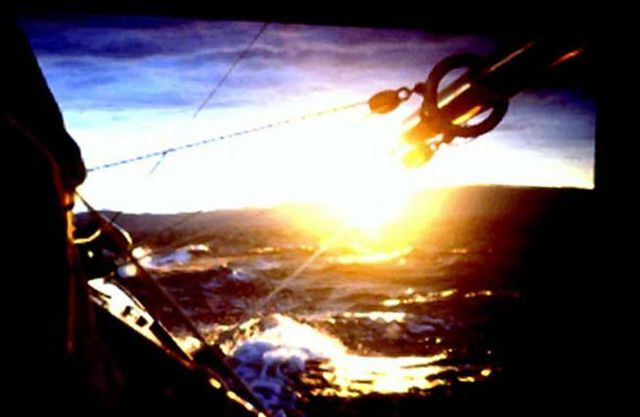 As this could not happen due to reasons outside my control, I ended up crewing with my father onboard "Snarken", ref. History part IIIB; "Snarken to Hankö 1983. 8N24 "Varg III" constructed by JohanAnker in 1927 was the last 8mR in Norway to be constructed without a cabin top, as this became a permanent requirement from 1928. Norways representative in the 8mR Class under the 1928 Olympics became Johan Ankers 8N25 Noreg (Tamara VIII) with cabin top. Only one enter in the 8mR(new) R1919 Class, i.e. 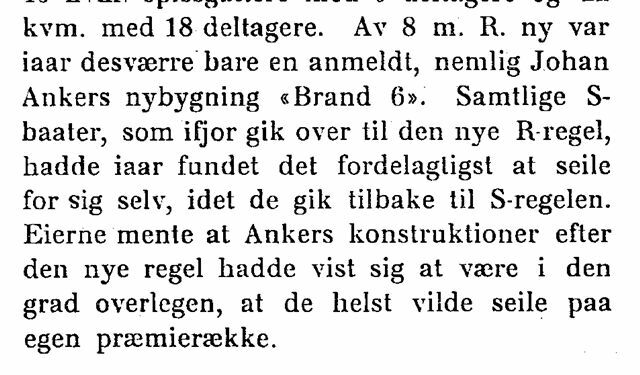 Ankers 8N18 "Brand VI". The S-yachts which in 1920 converted to the new R-rule has decided to in 1921 go back and race in a separate 8mS-Class. This due to Ankers designs under the new R-rule had been to superior. KNS spring regatta June 4th - 5th 1921. H17 "Ierne" to the left, sH25 "Apache" in the midle. Winners on Saturday: 8mR(new) R1919 Class; 8N18 "Brand VI", 2.45.55. Overall best both days was 8mR(new) R1920 Class; 8N18 "Brand VI". On Saturday winner of the 8mS Class sH25 "Apache" performed better than the winner of the 8mR(old) R1907 Class H7 "Garraveen", however on Sunday H7 "Garraveen" beats the winner of the 8mS Class sH27 "Erle" which is the silver medalist from the 1920 Antwerpen Olympics, i.e. 8N6 "Lyn", ex sH27 "La France". Subject to "Verano II" ("Snarken") it seems like she in spring 1921 is not racing although she on May 14th 1921 obtained her measurement Certificate as an 8mS yacht with rating S=7.92. During the winter 1920/1921 her ownership as noted on the Measurement Certificate has changed from Eilert Sundt KNS to Ole R. Thoresen KNS. 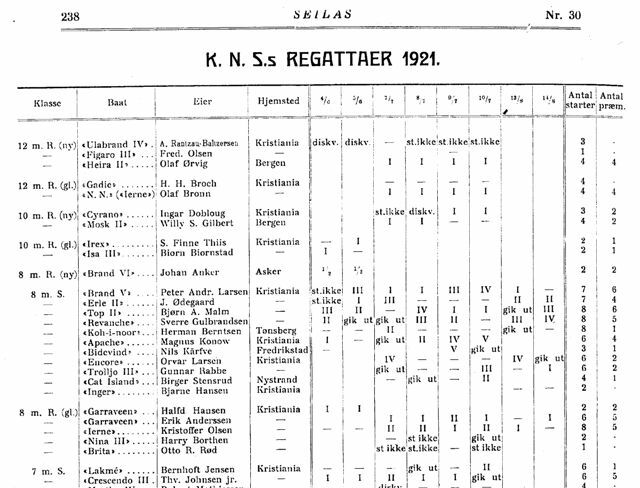 From 1920 and onwards KNS yacht register was only published every second year. The next register to be presented by KNS is 1921-1922. In this register the 8mS yachts which in 1920 were converted to the new R-1919 rule and in 1921 went back and raced in the 8mS Class remains listed with their R(1919) racing sail no. under the new Class 1; Yachts commissioned to the R-rule of 1919. 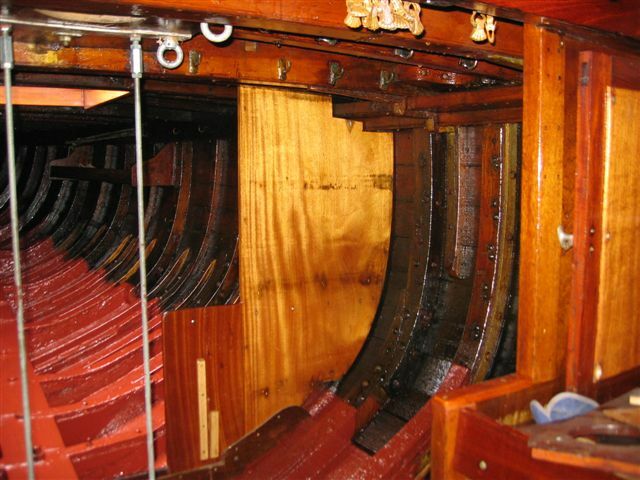 The list includes the tailormade 8mR yachts 8N2 "Sildra" (1920) and 8N18 "Top III" ex "Brand VI" (1921). 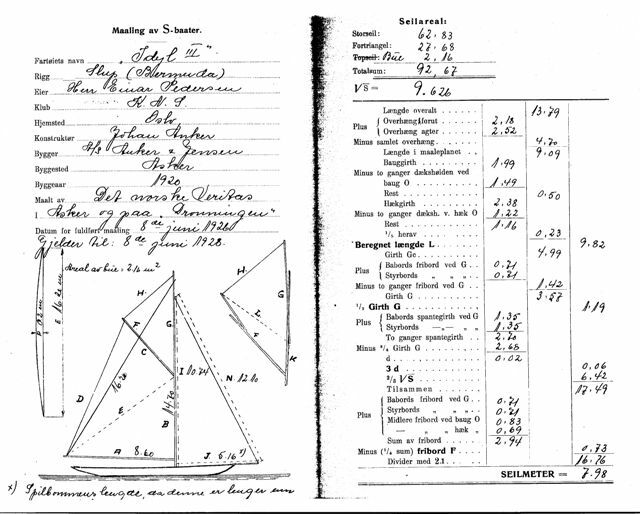 The not converted S-yachts are listed in registers Class 2; Yachts commissioned to the S-rule of 1917. Class 3 is Yachts commisioned to the old R-rule of 1907. "Snarken" is to be found in Class 1 as "Siva" (ex Verano II), owner Nicolai Andresen jr., Kristiania (Oslo), racing sail no 8N11. It is likely that the KNS register 1921-22 reflects the status at a time in 1921 when "Bera" (1922) was given her preliminary racing sail no 8N19 before the register went into printing. Related to "Snarken" this tells us that Eilert Sundt some time during winter /spring 1920/21 sold 8N11"Verano II" to Ole R. Thoresen, Kr.a. who certified her to the S-rule of 1917 with rating S=7.92. Later the same year Ole R. Thoresen sold her to Nicolai Andresen jr. who named her "Siva" with sail no 8N11. As such "Siva" ex "Verano II" (Snarken) carries in summer 1921 two Certificates. Her R(1919) Certificate from June 2nd 1920 valid til June 2nd 1922, and her S-Certificate of May 14th 1921 to May 14th 1923. Photo: KNS Regatta 13th -14th August 1921; Eight Metre start Sunday. 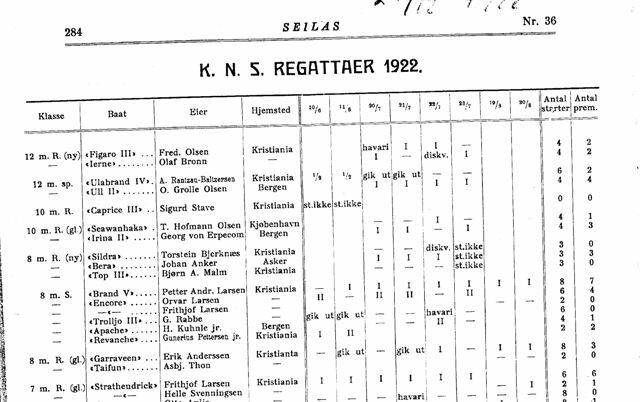 Above: Summary of KNS regattas 1921 total 8 races. In the 8mR(new) R-1919 Class: One competitor; 8N18 "Brand VI", owner Johan Anker. 8mS Class: 11 competitors: Winners sH22(8N1) "Brand V (3), sH29(8N7)"Top II" ex Aljuca (2), sH27(8N6) Erle II, ex Lyn (1), sH25(8N3) "Apache" (1), sH31(8N17) "Trolljo III" (1). 8mR(old) R-1907 Class: 4 competitors: Winners: H7 "Garraveen" is most winner (6) above H17 "Ierne"(2) although she during the year is sold from Halfdan Hansen to Erik Anderssen, Kr.a. 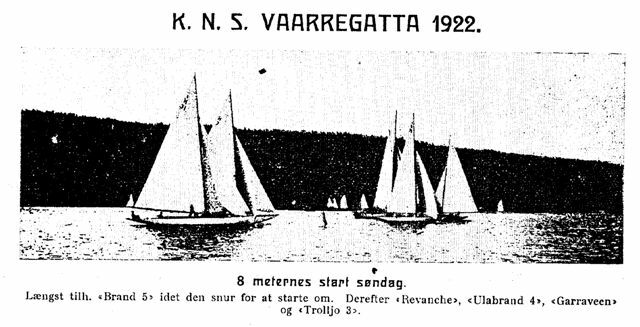 "Siva", "Verano II", is not listed in the summary of KNS regattas 1921. 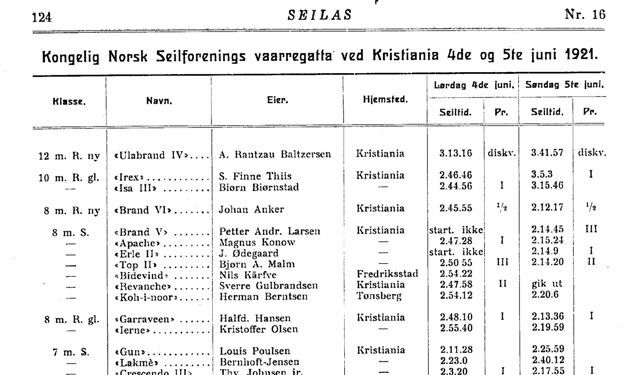 For some reason it seems that her owners in 1921 Ole R. Thoresen and Nicolai Andresen jr. are not racing? Nicolai Andresen of the well known Tiedeman Tobacco Company likely used her for cruising with his friends. KNS yachting magazine "Seilas" reports in its May 10th 1922 issue that "Siva" 8mR is sold by Nicolai Andresen jr. Kr.a. to Dagfinn Paust, Kr.a. and renamed "Danseuse". Photo: 8 metres start on Sunday: To the right "Brand V" turning for restart. Next "Revanche", 12m"Ulabrand 4" , "Garraveen" and "Trolljo III". From the entry list it seems that the competition between the 8m is starting to fall apart with increased competition in the 6m Classes. As to the 8m Classes, there was no entries in the 8mR 1919 Class. Four entries in the 8mS Class, i.e. "Brand V"(sH22), "Encore"(sH26) ex "Hei-paa-dig", "Trolljo III"(sH31) and "Revanche"(sH33) ex "Rocambole", and only one entry in the 8mR(old) 1907 Class, i.e. H7 "Garraveen". Winners in the S-Class; "Revanche" and "Brand V". No of entries in 8mR(1919) Class; 3 - "Sildra"(8N2), "Bera"(8N12) and "Top III", ex "Brand VI"(8N18). Most winner "Bera". No of entries in 8mS Class; 5 - "Brand V"(sH22), "Encore"(sH26), "Trolljo III"(sH31), "Apache"(sH25), "Revanche"(sH33). Most winner "Brand V" (7), "Revanche" (1). No of entries 8mR (1907) Class; 2- "Garraveen" (H7) and "Taifun" (H14) (part2 note 5) Most winner "Garraveen". 8N12 "Bera" (A&J 1922), 8N19 "Ranja" (A&J 1923), 8N18 "Regina", ex Top III, ex Brand VI (A&J 1921), 8N2 "Sildra" (A&J 1920), 8N20 "Varg" (A&J 1924). sH36 "Anchen" (Svenningsen 1919), sH25 "Apache" ex Boreas (A&J 1918), sH24 "Banzai II" ex Pingvin 4 (A&J 1918), sH30 "Bidevind" (Bjarne Aas 1918), sH22 "Brand V" (A&J 1918), sH26 "Encore", ex Rural, ex Hei-paa-dig (A&J 1918), sH37 "Koh-i-Noor" (A&J 1919), sH34 "Madelon", ex Inger, ex Betty III (A&J 1919), sH32 "Sif" (Liljegren 1918), sH28 "Spurt IV", ex Baus (A&J 1918), sH31 "Trolljo" (A&J 1919) (part2 note6). The 8mS-yachts certified under the S-rule i 1918 and 1919 and in 1920 converted to the R(1919) rule are listed together with the non converted S-yachts, sH36 "Anchen" and sH24 "Pingvin". "Snarken" is neither classified in Class 1 (R1919) nor Class 2 (S1917). She is to be found listed in Class 3 (R1907), named "Fandango II" and owner Ole R. Thoresen, Kr.a. Yachts commissioned to the International R-rule of 1907. 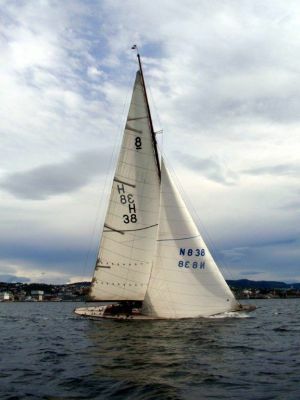 "Snarken" is listed as "Fandango II" with owner Ole R. Thoresen, Kr.a. (Oslo). This must be the same Ole R. Thoresen which owned her earlier in 1921 and certified her under the S-rule of 1917. "Fandango II" (Snarken) is together with "Sans Atout" who also raced in the 8mR(new) R1919 Class in 1920 with sailno 8N16 in KNS Yacht register of 1923-1924 classified under the R(old) - Class for Yachts commissioned under the first R-rule of 1907. In 1924 Paris is the arena for the Olympic Games. 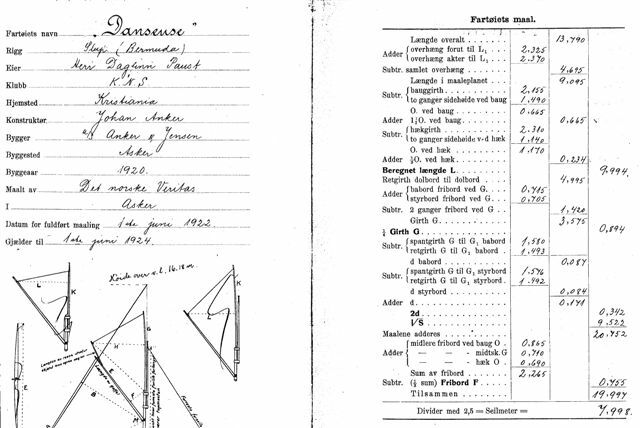 As to sailing it is decided to call for races in 3 Classes compared to 11 Classes under the 1920 Antwerpen Olympic. The 1924 Olympic Classes are 8mR, 6mR and dinghy. No racing are called for in 12mR, 10mR nor in the R(old) Classes under the R-rule of 1907. The focus from the R-yachtsmen is set on the 6mR and 8mR Classes, however as number of R-Classes is restricted to 2, only few will make it to the Olympic starting line. In stronger winds the gaff rig yachts anyway have to take down their top sail and as such even out the difference in sail area compared to converting them to Bermuda sail. 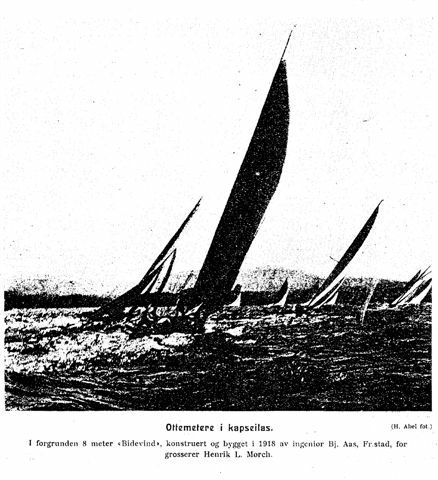 The discussion comes to a final decission, and in the call for entries to KNS International Regatta at Hankö and Kristiania (Oslo) July 9th to 13th 1924 the S(1917)-Class and R(1907) Class are united sailing on equal terms. "Boheme", "Fandango", "Star", "Tuttan", "Quinta"
Ole R. Thoresen sold "Fandango II" ("Snarken") to Melchior L. Rolfsen, Oslo who sold her to Einar Pedersen, Oslo and named her "Idyll III". “Snarken” is listed under the united R(1907) and S(1917) Class named “Idyll III”, ex "Fandango II", ex "Danseuse", ex "Siva", ex Verano II", owner Einar Pedersen, Oslo. Einar Pedersen tuned her up and updated her Measurement Certficate. 5. S-Class and R-Class of 1907 races in same Class on equal terms. Same as under the internasjonal regatta at Hankø in July 1924.
of 12 sec/nm in wind less than 5m/sec. This is no longer applicable. The races took place in light winds. Results: “Snarken” i.e.”Idyll III” winner of the 8m(old) Class both days. "SNARKEN" = "IDYLL III", S-Certificate dated June 8th 1926, rating 7,92.
the boom has been shortened and mast moved backwards. The old bolt holes in frame from the fastening of the foremost side stay are to be found on "Snarken" = "Idyll III" today. April 15 - 17th 2008. AS SUCH THERE SHOULD BE NO DOUBT THAT "SNARKEN" AND "IDYLL III" ARE THE SAME 8 METER. HER FIRST NAME WAS "VERANO II" DESIGNED BY JOHAN ANKER 27/9 1918. SHE WAS LAID DOWN AT ANKER & JENSEN YARD IN VOLLEN, ASKER, OUTSIDE OSLO, NORWAY IN SPRING/SUMMER 1919 GIVEN YARD NO 223, AND LAUNCHED SPRING 1920. Rudder post on "Snarken" first name "Verano II"
The development of the Eight Metre Class from 1921 – 1926 concludes that yachts laid down based upon the S-rule of 1917 and the R-rule of 1907 races in the same Class with no penalty subject to the S-yachts having a valid S(1917)-rule certificate and the R-yachts having a valid R(1907) – rule certificate. In 1927 –1928 "Snarkens" owner was Sam Bull who kept her name "Idyll III". 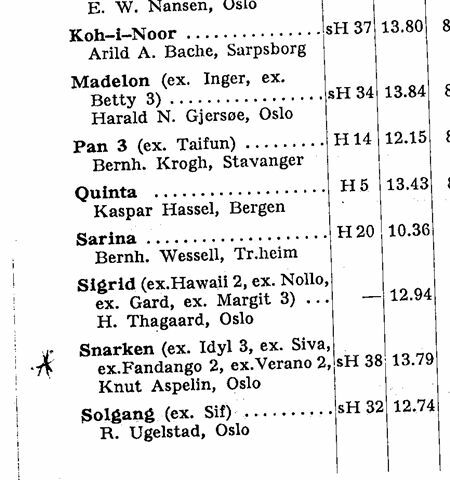 In KNS Yacht Register 1929-30 she for the first time appears with the name “Snarken” and owner Knut Aspelin, Oslo. 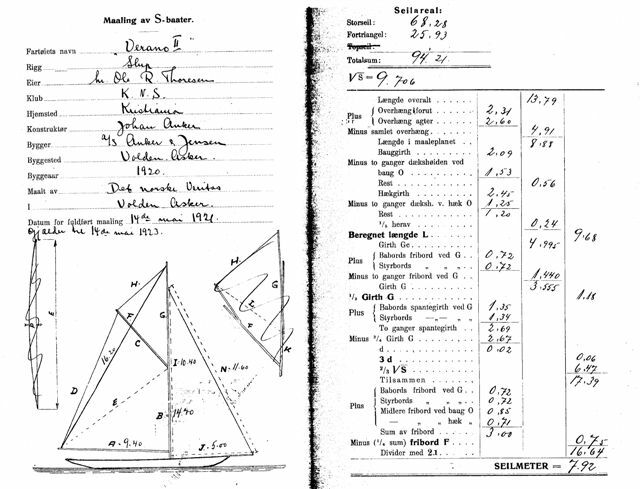 KNS Yacht Register 1933 - 1934 have "Snarken" listed with owner Knut Aspelin, Oslo and racing sail no. sH 38. Knut Aspelin sold in 1936 "Snarken" to Kapt. Thomas Andler, Oslo and from 1937 she is named "Elcoma". Her owner 1948 - 1959 is E. Marcussen, Askerøy.